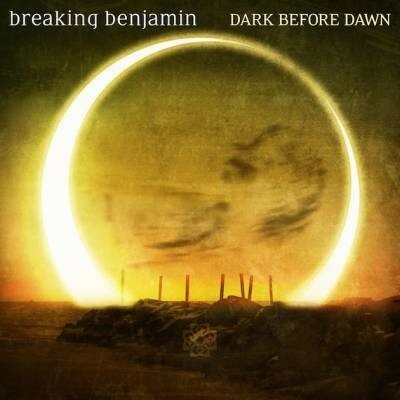 Breaking Benjamin‘s highly-anticipated fifth studio album, Dark Before Dawn will be released June 23rd. Their first single, “Failure,” written and produced by Breaking Benjamin founder Ben Burnley, was released today and is now available (along with the album pre-order) on iTunes. Within an hour of release, Dark Before Dawn skyrocketed to #1 on both the rock single and rock album charts at iTunes, and landed in the Top 3 on the Overall Album chart. The first original music from the platinum-selling band since the release of Dear Agony in 2009 (certified Gold), Dark Before Dawn marks a new era for the acclaimed band. Burnley is joined by guitarists Jasen Rauch (Red) and Keith Wallen (Adelitas Way), bassist Aaron Bruch, and drummer Shawn Foist (Picture Me Broken). After a string of sold-out club dates, Breaking Benjamin will hit the road again in April, headlining U.S. tour dates extending through July with performances at this year’s biggest rock festivals including Rock on the Range, Carolina Rebellion, Rocklahoma! and Welcome to Rockville. IN FLAMES | Announce New Drummer!